“Good politics is at the service of peace” has been announced as the theme for the World Day of Peace 2019. Source: Crux. The Vatican yesterday announced the theme for the annual commemoration, which in 2019 will focus on the political involvement of every person as both a duty, and an act of charity aimed at achieving peace. 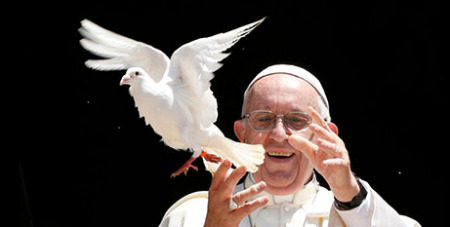 Celebrated each year on January 1, the World Day of Peace is accompanied by a message from the Pope which is sent to all foreign ministers around the world, and which also indicates what the Holy See’s diplomatic tone will be during the coming year. In his five years in office, Pope Francis has so far dedicated his peace messages to reiterating points he often makes, such as the importance of fraternity, overcoming political and individual indifference and putting an end to all forms of slavery and human trafficking. His messages for the event have often offered bold advice at both a political and pastoral level, pushing for an end to the arms trade and the death penalty, and amnesty for prisoners held on political offenses.